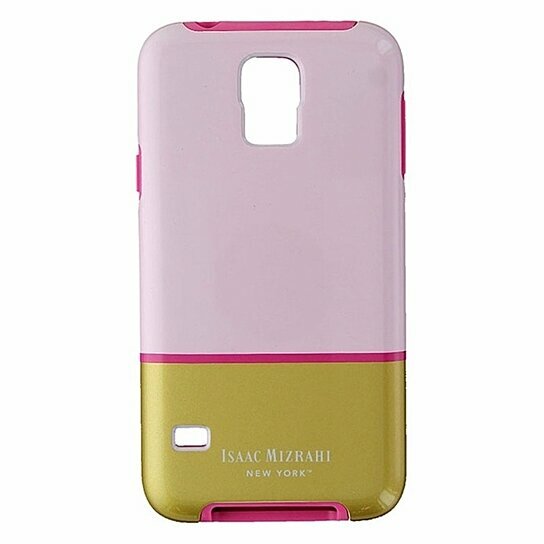 This Isaac Mizrahi fashion case utilizes a combination of polycarbonate and TPU materials to protect your Samsung Galaxy S 5 cell phone. The raised bezel offers an additional line of defense for your phones display. Pink and Gold glossy finish on outter shell and all pink inner layer.